Our electrical distribution system is over 50 years old in some parts of the city and is beyond its useful life. We are investing in our electrical distribution infrastructure to ensure that you continue to have a safe and reliable supply of electricity. Our projects involve replacing old poles, wires and transformers with new equipment that meets today's standards. 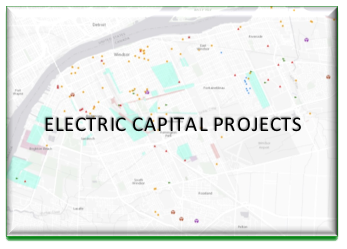 The following map provides an overview of the capital project works planned for 2018. Upgrading our infrastructure is an important part of our customer service. We upgrade to continue to provide you with safe, reliable electricity. As part of our continuing commitment to the safe, reliable delivery of electricity, we invest annually in a Pole Inspection Program. Poles are inspected and assessed for strength, durability and longevity, and we deal with any safety risks. Pole inspectors work throughout the year to complete inspections. One in three power outages in Windsor are caused by tree branches that are too close to electrical equipment. In strong winds, these branches can bring down lines or damage transformers, causing outages, fires and danger to the community. When you see works crews (ENWIN and contractors) trimming trees, we're putting your safety first. 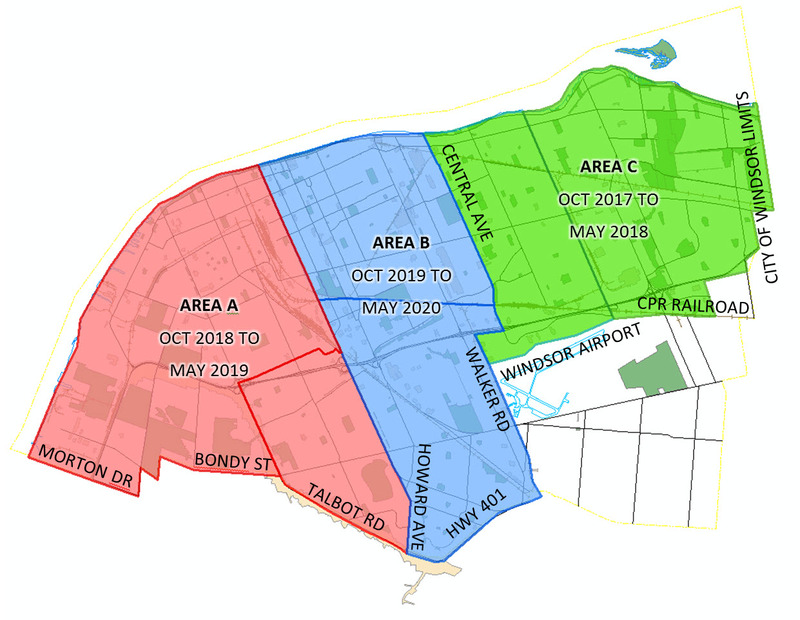 From October 2018 through May 2019, ENWIN contractors will be performing trimming in Area "A". Area "A": East/West Boundaries: West of Dougall Avenue to the Town of LaSalle border. South boundary is comprised of North Talbot Road, Bondy Street and Morton Drive. The North boundary is the Detroit River. ENWIN's contractor Columbia Utility Services Inc. will be performing tree trimming on behalf of ENWIN from May 2017 to May 2020.